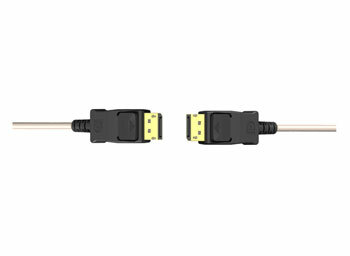 Lusem's DisplayPort 1.2a, active, optical cables are intended for 'plug-and-play' applications where a longer cable-run length than those obtainable with standard copper cables is required. 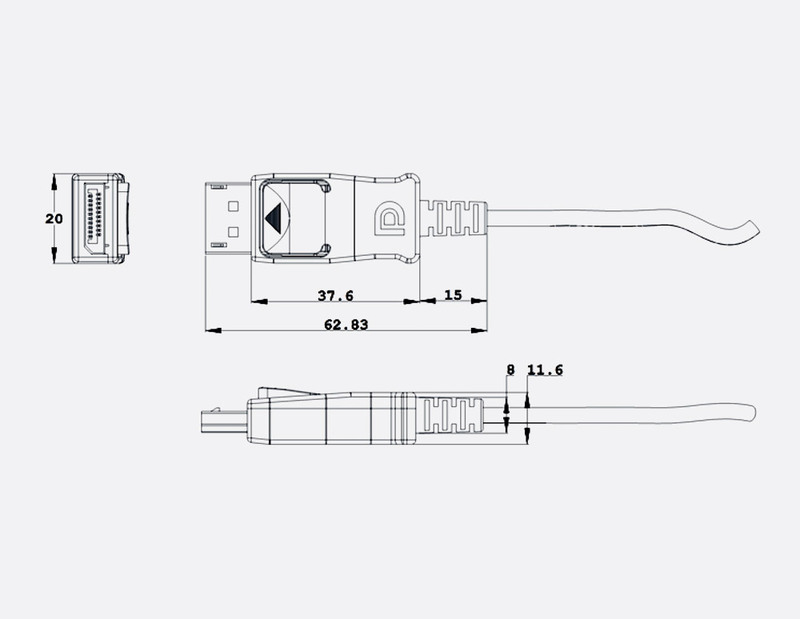 The cable uses hybrid technology to harness four strands of multimode optical fibres to take the payload and six strands of AWG28 insulated copper cable wires to carry the voltage and hardware hand-shake operations. They offer a considerably more elegant and cost-effective solution for long cable runs than Cat5E cable with converter box systems. Applications include professional AV systems interconnection and indoor and outdoor digital signage and kiosks, plus home theatre systems in larger properties. Cables are available in a range of lengths from 10 to 100 metres; all cables have LSOH (low smoke zero halogen) cable jacket. These cables support up to 21.6Gbps with a 5.4Gbps/lane link-rate and 4K at 60Hz for both 3840x2160 and 4096x2160 resolutions. Audio can be transmitted at 8-channel linear PCM (16 or 24bits), and 32 to 192KHz sampling rate.